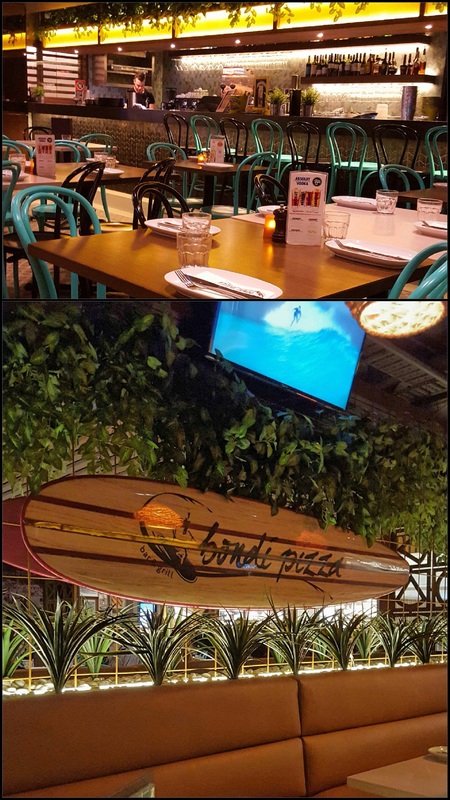 After a recent ten pin bowling outing at the Macquarie Centre we headed to Bondi Pizza. The large menu provided plenty of choice for our group of seven. The restaurant is a large space but is split into separate areas with the use of screens and plants. The seating is comfortable and private. The friendly young waitstaff were happy to let us take our time ordering and did not rush us at all. Once we decided on our orders the meals came out quickly but did not look like they had been rushed. They were also happy to modify some of the meals to suit the dietary needs and preferences of our group. The servings of food are generous and contain fresh quality ingredients. Two of our party shared a pizza and enjoyed the crispy crust and the flavour of the topping. 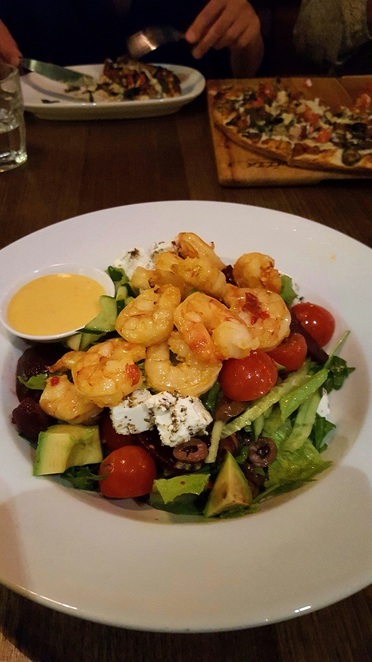 My chili prawn salad was full of beautifully cooked prawns and was most enjoyable. Each store has special promotions and also offer package deals for functions. There was a diverse group of diners on the evening we were there and all were having a good time.